More Specialty Shaped and Full Color STICKERS! These awesome stickers were printed digitally on 4 mil vinyl. We are able to use your high resolution .jpg, .tif or .png files to create these special stickers. Any shape or color you need, we can handle it. Great for outdoors. 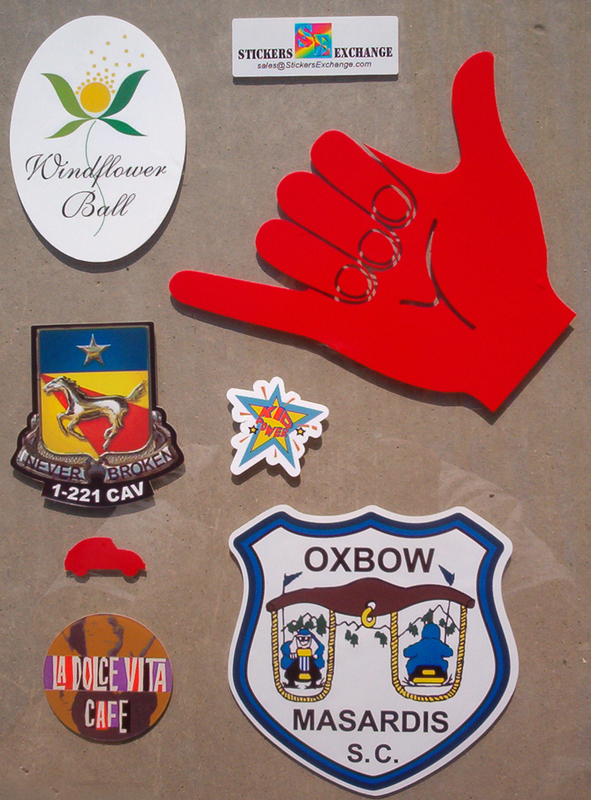 We also offer vinyl-cut-out stickers (hang ten shown above) in many different color vinyls. Send us an email with your request. Click here to see more Full Color.